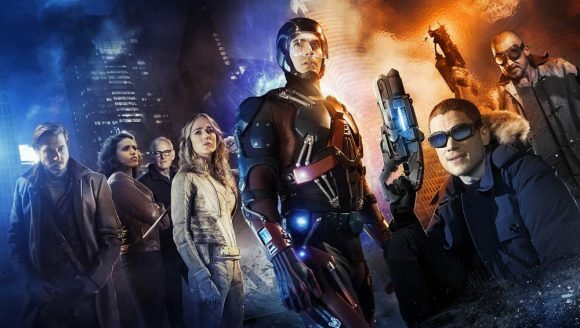 TVNZ’s Duke soon will screen DC’s Legends of Tomorrow, Agent X and classic X-Files cases. Legends of Tomorrow will air 8.35 Fridays from June 17 and Agent X 8.35 Wednesdays from June 15, ahead of The X-Files Collection. Legends originally was fast-tracked here on TVNZ OnDemand and its free-to-air premiere on Duke follows the failure of the broadcaster’s other superhero hours to rate on TV2, most notably Gotham and Marvel’s Agents of SHIELD (which are now Duke properties, along with Supernatural), The Flash, Supergirl and Arrow. The downside for viewers is neither Legends nor Agent X will screen in HD, although the channel’s streamed feed looks much better than its SD broadcast. Agent X is a secret agent vehicle for Sharon Stone that lasted only one season and shouldn’t be taken seriously for a second. The X-Files Collection showcases 20 classic episodes that were part of the package TVNZ bought to acquire The X-Files reboot for TV2. These previously aired in HD as part of a full-series re-run on The Zone. Meanwhile, NBA fans can look forward to Duke adding the first four NBA finals to its schedule from Saturday, when the first game will air 11.45am, followed by 4.45pm coverage on Tuesday and Friday week.